Miscellaneous Embroidery Designs From The Personal Perspective Of Two Embroidery Design Enthusiasts. Embroidery Designs - Straight from Africa! We have for you a basket of embroidery designs from Africa. Cross stitch and hand embroidery forms an integral feature in all these designs. The particular design next to this post is done using satin stitch. To know more about satin stitch, over to Stitching Techniques From EDG. The important point to remember is that when a pattern is to be filled completely, embroiderers often use the satin stitch. Zumi is a popular and cute figure for African embroidery designs and is generally shown in a warlike position. We also have Zindi who accompanies him occasionally in the embroidery patterns. His jaunts in the Safari with various animals make the set complete. Apart from usage on T-shirts and other apparel, there are the kitchen embroidery design sets which can be used for decorating the ordinary dinner table! Knitting Patterns Tutorials and EBook For You! Have you ever wished that you had one great knitting resource at your side to help you learn the things that are missing in your knitting repertoire? Have you found knitting manuals to be too technical and confusing? Maybe you have a pattern and just can't figure out what that abbreviation means? Well, my friend Sarah Beth has put together an awesome Ebook called Knitting Secrets that spells out how to knit starting at the very beginning and moving on to advanced stitches and techniques. It has helped so many people learn to knit that I thought you should know about it too. Check it out here: Knitting Tips and let me know what you think! I did go through the 5 day mini course and it was really interesting! It starts right from the basics like casting, the slip knot, casting on single, casting on cable, knitting and goes on details like turning Your work, purling, stockinette, garter, binding off and figuring out gauge - Quite comprehensive, isn't it? 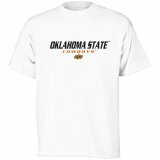 Photograph of the famous "Oklahoma Embroidered T-Shirt"
I introduce you to the official Cadre Athletic Oklahoma St. Cowboys Embroidered T-Shirt , which you see alongside this post. This Tshirt is 6.1 ounce 100% cotton with athletic cut short sleeve tee shirt and ribbed collar. It contains the applique embroidered team name and logo on the chest. This officially licensed shirt is generally decorated in the team colors during any sporting event. This is available for sale at an affordable price of 22 dollars (price is subject to change in the future) excluding shipping at Amazon.Com . Do spread the word around! Subscribe to Embroidery Designs Tips to receive free e-mail alerts each time we post something new. Don't worry -- your e-mail address is totally secure with us. We promise to use it only to send you this alert.